Vallecito Reservoir is seen from Middle Mountain Road. An ATV-rental company’s proposal to expand has the Vallecito community debating the future use of all-terrain vehicles. Some see economic opportunity, while others are concerned about impacts to the environment. A debate has ignited among residents about the future use of all-terrain vehicles around Vallecito. The community conversation was sparked by an ATV-rental company’s request to expand the services it can offer on its property. Since 2012, David Blaylock and Amy Burchfield have run Altitude ATV & Side-by-Side Rentals in Vallecito, about 30 miles northeast of Durango. For the first couple of years in operation, the business bounced around locations, Blaylock said. But about three years ago, the couple bought property at the bottom of Middle Mountain Road. Blaylock said they bought the 1.69 acres at 32 Middle Mountain Road with the intent of developing the property to accommodate more uses, such as renting paddleboards, kayaks, mountain bikes and other recreational gear. To accomplish that, however, the La Plata County Planning Commission must approve a “map amendment,” which would re-classify the land from its current suburban density residential designation to a high-density “mixed-use” listing. The proposal has triggered a response from residents in the community about the future use of ATVs around Vallecito. In a public comment period, opinions were split, with 12 out of 22 comments in opposition to the proposal. Opponents say opening Vallecito to more ATV use would compromise the peaceful, quiet quality of the area, as well as adversely affect roads. Ken Baker wrote that ATVs damage roads, especially privately maintained roads. “We are already having problems in the summer with the number of ATVs using our private roads, which we have to maintain ourselves,” Baker said. But residents in favor of Altitude ATV’s proposal say granting mixed-used designation for the company would provide a needed jolt to Vallecito’s economy. 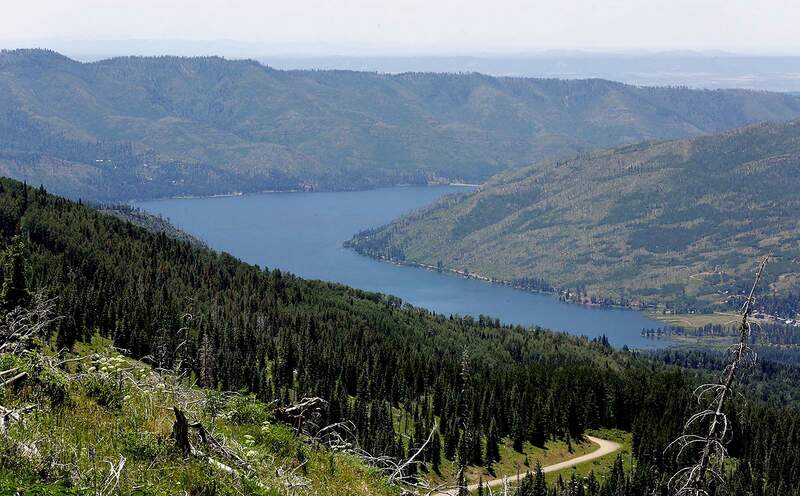 While tourism in Vallecito has been improving in recent years, it’s true that the area has not recovered from the 2002 Missionary Ridge Fire, said Paul Eckenrode, president of the Vallecito Lake Chamber of Commerce. Because of the fires, Vallecito lost 50 percent of its lodging capacity, which hasn’t returned. The reservoir has only one marina now; at one time, there were four, Eckenrode said. And the number of year-round restaurants dropped from six to two. But Eckenrode said allowing businesses to offer recreational opportunities, which is Vallecito’s main draw, helps that effort. Blaylock said he recently got La Plata County to allow ATV use on a half-mile stretch of Middle Mountain Road that connects to U.S. Forest Service land where ATV use is allowed, a critical development for his business that sits at the bottom of the road. Some residents have even suggested opening the entire Vallecito area to ATV use. But others adamantly oppose the notion. Resident Karla Erickson wondered about the cost of ATVs on the beauty of Vallecito, fearing the community may end up like Silverton. In 2014, the town of Silverton voted to open some streets to ATV use. While there’s been a notable uptick in tourism, many residents feel the town has become overrun by the vehicles. The La Plata County Planning Commission is set to hear the project proposal April 26.